She had graduated RSE “Academician Y.A. Buketov Karaganda State University” in specialty “The Kazakh language and literature”(2001 year). 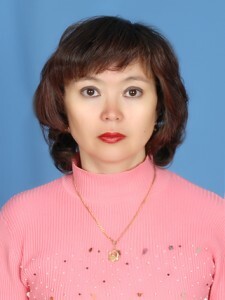 She has worked in Karaganda State Technical University since 2005 year. In 2013 year by the authority of the State Attestation Commission The Central Kazakhstan Academy confers upon Kuleimenova Laila the academic degree of master of Pedagogical sciences in specialty 6M011700 “The Kazakh language and literature”, also teach a practical class in Kazakh language. The author of 18 field of learning, 5 methodical benefits, 5 electronic-books, 2 evidence of individual property, 2 videotape lectures,8 slide-lectures.